Alice Cooper will appear as a guest on CBS-TV’s The Late Late Show with James Corden on Tuesday, September 15.
Cooper joins a panel lineup that includes actress Pauly Perrette (NCIS) and comedian Ian Karmel. 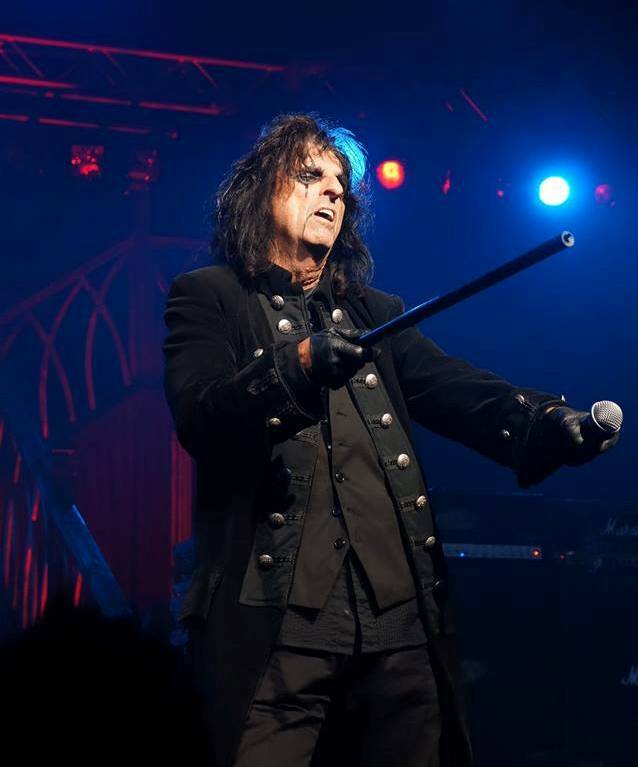 The rocker is promoting his newly-released all-star covers project, Hollywood Vampires. The trio of Cooper, Johnny Depp and Aerosmith’s Joe Perry organized the project, which presents covers of classic tunes by T. Rex, Jimi Hendrix, Led Zeppelin, The Doors and more with contributions from an all-star lineup that includes Sir Paul McCartney, Perry Farrell, Dave Grohl, Joe Walsh, Slash, Robbie Krieger, Zak Starkey, Brian Johnson and Kip Winger. The Hollywood Vampires will perform two shows at The Roxy in Los Angeles on September 16 and 17 and play Brazil’s Rock In Rio on September 24.